We have officially entered *Eclipse* season and are moving toward two upcoming eclipses as well as the Uranus/Pluto Square being activated on Nov 1st. “You may be empathic. Your emotions could feel big, over the top and urgent. You could feel a tension between your desire to be close to someone and your desire to be free. Make sure to give your loved ones the same freedom you want. “Hold on lightly not tightly is the Aries eclipse message. Maintaining a light attachment to relationships, situations and outcomes proves wise. “Making plans is difficult when there is a lack of clarity. Life seldom turns out as planned when Neptune is involved. You can’t see down the road that is laden in dense fog. Hang loose, don’t make any rash decisions. Go with the flow and be patient. Take your time with important matters. “…The wheel of life is turning. The outcome may be unknown to you. You are building towards the Pluto/Uranus exact square. This event goes exact on November 1. “…Embrace change. Be the change agent for your life. Change can feel painful at times. When you take the lead change will feel easier. Do what is right for you. “Mastering the Aries Lunar Eclipse requires us to be balanced in our male and female energies. Male is not better than female. Female is not better than male. We need a balance of both male and female to be whole. “The individual is as important as the whole. The sum is equal to its parts. Creating balance between individual and societal needs is a worthy goal. “When people have their survival needs met an abundant world results. Our desire is for everyone to be happy and healthy. We are creating the New Earth together with our thoughts, words and deeds. The choices we make today determine our tomorrow. “…The Aries Lunar eclipse is pulling you towards greater self-expression and freedom. You may feel a strong need to stand up for yourself and speak your truth. This is awesome. Let us remember to give others plenty of room to be who they are and speak their truth. “You are born again in the Aries cleansing fire. Let go of the false self. Embrace who you really are. Be heart-centered. Liberate your mind. This is real freedom. “The lunar eclipse occurs on Friday, October 18, 2013 at 4:37pm PDT/ 7:37pm EDT/ 11:37 pm GMT. It can be seen in Europe, Africa and the Americas. Go out and take a look! “Because the Earth blocks the Sun’s light during a lunar eclipse, we see the Moon directly. A lunar eclipse stirs up the emotional body, bringing up what our patriarchal-shaped egos have repressed or forgotten, making us aware of our hidden motivations. Usually we hide from fear, so confront your fears and look at your real motivations for doing what you do. “A lunar eclipse can bring up the Shadow; we can act it out unconsciously or recognize and integrate it into our conscious personality and act accordingly. “This full moon phase will be highly active on the emotional level. How will you work with the energy and themes? “The Sun in Libra and the Moon in Aries urge each person to find harmony between individuality and collaboration. You will learn a lot about yourself through relating with others now, especially about unresolved emotions that appear during this phase. “Full Moon phase in the lunar cycle symbolizes high tides and sensitivity within the emotional level. Thus a Lunar Eclipse vibration added to this simply adds more focus on the letting out, letting go. Whatever was tucked away, repressed within the within the subconscious will be illuminated during this time. “…The heart may skip a beat as raw emotions surface now and energies are charged up. This is par for the course. Allow anger and agitations to rise up and clear out without jabbing anyone with the energy. You don’t have to allow things to become volatile. “Take positive action in advance by being responsible for your emotions and reactions to things. Direct the pent up or stuck emotional energy into organizing, working out or anything that burns off the ‘gunk’ and exhausts you in a good way. “Therefore, it is recommended to see where you can take few steps towards practicing the quality of courage, confidence and using your personal power with compassion and wisdom. “This eclipse opens a window until November 3 of a time that supports deep change. The energy of this full moon can be a bit challenging if you are not in alignment with what you need at this time. “If you are ignoring your own signals to go offline and reset certain things in your life, this full moon could bring you to your knees. Don’t do anything against your better judgment and take some time for reflection and rest. “On the other hand, there is an opportunity for the heightened experience of bliss and well being if you are aligned with spirit. “Make sure you are not so scheduled up with obligations around this time that you can actually take advantage and experience what is possible. Be in nature, around beauty, and doing what inspires you. “AND… stay out of conflict by not taking things personally. It is hardly ever about you…. “…be extra aware of how your emotional energy may be expressing this aspect of the negative dark feminine. With Jupiter in Cancer squaring the Sun/Moon eclipse point, Eris can use this expansive energy to inflate conflicts or hopefully with some finesse, we can bring in vision and wisdom for a broader perspective to a hot situation. “As usual, just keep moving with the flow, don’t try to push the river, and go deeper in your inner and outer feeling connections. “Mars shows that we will be able to count on our ‘invisible helpers’ when it seems all else fails, and that these experiences will show us hidden powers in our Being. Regardless of the crisis, we will have major angelic (Devic) help at our disposal. “…we are on the threshold of knowing things that will alter the course and direction of our lives, and how our minds are able to recognize signs and signals and bring forth messages from the Spiritual realms of Neptune and Pluto. “There may be a need to see loss and death in terms of the power it provides us to regenerate, and many will come to a deeper understanding of the permanent spiritual factors in their existence, as well as a deeper courage that will never desert them. 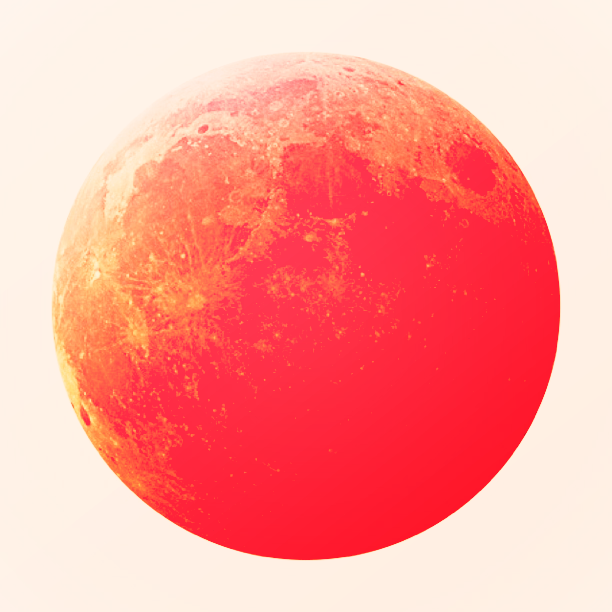 “A lunar eclipse is always a good time to stop acting on auto-pilot and reconnect with our own personal ground control. This one is certainly no exception to that. “…Now that’s not to say we shouldn’t engage with a variety of teachings and ideas, practices and perspectives, but we need to do so with discernment, tuning into our heart as we go, checking in with ground control ‘Am I still on course or have I drifted into someone else’s air space?’. “Because only by flying our own craft and navigating our own journey can we truly live into authenticity and finally discover what that really means, not according to someone else and their version of truth, but according to our own, woven through the fabric of our psyche and soul from the day we were born. I am Libra and my partner of 10 years is Aries. Our positive and shadow aspects above help explain why we have lasted this long. We are truly yin and yang. This full moon is the story of my life as I am Libra sun , Libra rising, and get this: Aries moon. Thus my struggle with individualism and collaboration. Thank you for sharing these Wise words of guidance..don’t you love the fact that dance is in the word guidance? Thanks for sharing this with me , my thoughts are with you everyday in every way, to the light…IF is the middle word in life…. Sorry but the Kelly Rosano was truly upsetting as she refuses to acknowledge the pressure Aries are feeling right now and offers no support or comfort to those who ask her about this instead she insults them and called them haters. As an Aries I just want to know when things will get better as I’m barely hanging on. If anyone is able to help me please let me know because I’m scared. i to have been confronted by alot of change and very emotional friends. i too have been awash with emotions, which is not my norm. nevertheless, i am also feeling quite solid, calm and comfortable in my own power. Thank you for sharing these insights. They have helped me into a better understanding of what is to come and what is already going on. Makes so much sense. Thank you. I so appreciate this collection of wisdom. Each reading offers something of value. For those having tense times, I suggest pulling back and focusing on self-care and self-nurturing, which for me means stopping focusing on others to the detriment of self, holding everything lightly and focusing on gratitude, and abstaining from mass mind in the form of news media and electronic input. This Sun Sag, Moon Taurus opposing Scorpio rising, Venus in the 1st, Mars in Aries in the 5th can be an intensely feeling and impulsively acting person, and stepping back helps so much. Peace to all. Thank you. Dang, Phyllis, we are on the same page. But I am afraid I am addicted to mass mind! Maybe the next two weeks off work will provide me with the impetus to step back. Thanks for reading my mail. And thanks Mysticmamma for providing such a lovely group of astrologers to help! SusyC, I am, too, at times. Just notice what it does to your body, and have a Plan B! (Trouble is, you abstain from the internet and you miss juicy threads like this one!) Peace! Thank you. This makes so much sense for me at this time. It is both exciting and a bit nerve racking. I am also an Aries moon, so that will be an interesting dynamic, I think. Thanks again. Eclipse conjunct sun/jupiter Aries 8th house stellium – ouch!! I am a libra male committed to a cancer woman. I’m wondering what type of effects would it bring to growing relationship. All these explanations are very helpful. I was struggling a lot emotionally, trying to understand my feelings and trying to figure out why I feel this way. It was putting more pressure on my shoulders and I was feeling more depressed everyday. Now I know why it is happening, and knowing I am not alone is priceless. The emotional aspect of this Full Moon/Eclipse is gut wrenching. I’m really tiring to not be reactive and breathe through it but ouch ….. Some great explanations here as to why I am feeling so emotional at the mo. I have Sun 21 degrees Aries and Venus 20 degrees. Can’t seem to find where the degree of full Hunter’s Moon is hitting – anyone out there can tell me? Wow, I need a change. My partner of 3 years decided not to carry on with the relationship 3 months ago. I am an Aries and she is a libra. Do you think the change will bring us back, or further away from each other? We will have to wait and see I suppose, but I am very excited to feel what will happen. I will be meditating tonight and see where it takes me. Be yourself…stand for yourself…do no harm…become who you need to be and should be…seems to be sagely advice form each of these talented individuals and in view of what is going on and to come in the next few months…may be the best way to handle all that life will give us. im Aries and my partner has rising in Libra, for the last couple of weeks we’ve been struggling with our relationship, arguing and trying to communicate,even if it seemed such a lost cause at times somehow we’re still together and doing fine. Soon I am moving abroad and finally he made a decision he wants to join me there, the only thing is that we dont know if he gets his visa to go.It looks like our being together,at least physically is in the hands of fate completely. Im upset about that but on the other hand tr to think that maybe there’s sb else meant for me out there…So confused and it’s 100%true that I am fighting within myself to be my true self and independent and at the same time in relationship with my guy meaning compromise! I have been through many changes recently and this will help guide me in a very positive direction . Wow. This week I have been off. Edgy. Bristled. Checked colander because it felt likePMS. Knew the full moon was coming but can honestly say I don’t ever remember being this affected by the moon. Tonight I found out its a full moon eclipse in Aries. And I laughed and sighed some relief! I’m an Aries. No wonder im feeling this one so much. I’am a Aries, and I’m thankful for this info, for I did not know of this event was happening today, I was going threw some emotion today and I couldn’t, for the life of me,as a median, understand what I was feeling. so thank you so much. oh wow…i just had an aha moment! This is a great interpretation and overview and really speaks to me. Thank you for sharing. I am an Aries and all of what is said above is so relevant to me. astrology is new age mumbo-jumbo. The fact thar the Lunar Eclipse was in Aries, does any of this apply to other signs personally? I am a Capricorn & I have been very off recently emotionally. Things have been rough between my fiance (who is a Cancer) and I lately, especially this week. I went to a Guided Stress Relief Meditation Yoga class yesterday and the instructor talked about the Lunar Eclipse and how it may have affected our energies. After reading this, everything makes so much sense! But it also saddens me because this all could be true. Just want to know if this applies to everyone else. Thank u for sharing this I’m a cancerian and I couldn’t understand why I felt soo overwhelmed Friday and Saturday.. I felt really down and I didn’t actually know why. Past few weeks have been hard but I’ve been ok.. Just this past week end I was really really overwhelmed with a sense of hopelessness . Now I under stand it was the eclipse affecting me.. Not sure what to make of that to move forward .. It’s a red moon tonight And I’m feeling somewhat myself again so I’m not too sure what to make of the affect the eclipse had on me.. Wonderful to read such a collection of guidance and insight. Thank you to all the astrologers and MYSTICMAMMA Living Love and Loving Living embracing The universe together with Love in the Momentous Moments.